With a rich avifauna of more than 350 species that includes 29 endemics, the island of Sri Lanka is one of southern Asia's most popular birding destination. This new field guide provides full coverage of every species on the Sri Lanka list, including most vagrants, with particular emphasis placed on endemic species and races. Detailed text highlights key identification criteria, along with accurate colour maps. 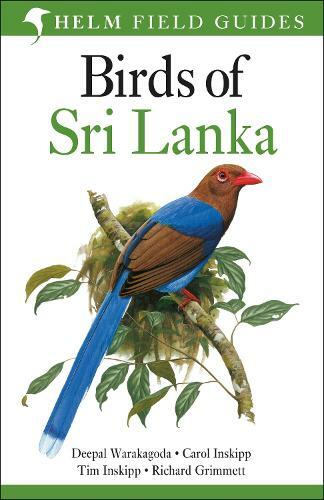 Packed with spectacular and detailed plates by leading bird artists such as Alan Harris, Tim Worfolk and John Cox, Birds of Sri Lanka is the definitive identification tool for the visiting birdwatcher.